I'm so excited to share these photos with you today. 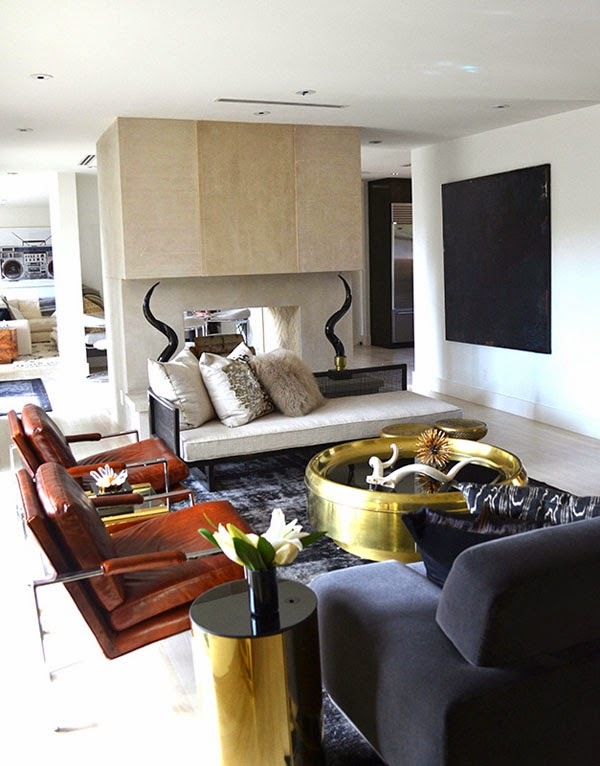 The designers behind this amazing home are my very talented friends Julie Lloyd and Clair Tompkins. They recently started Tompkins Lloyd Interiors and this is one of their latest projects, one which I had the privilege to photograph! So, of course I had to share it with you. These two ladies make quite a pair. 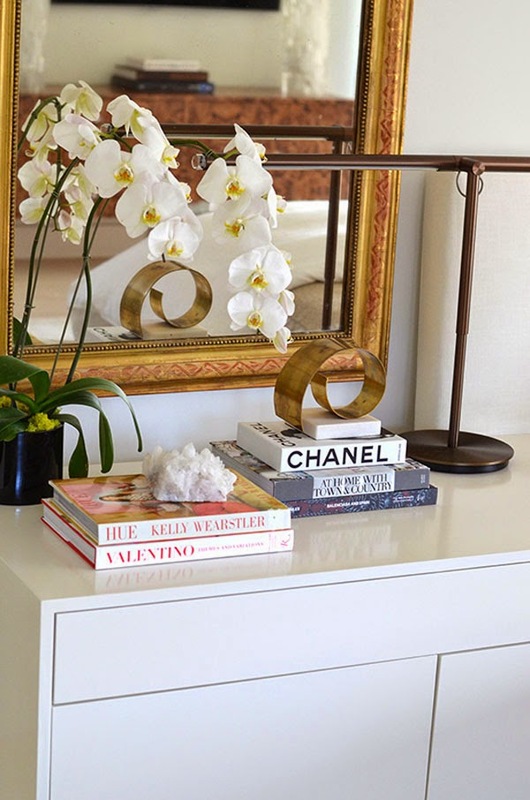 Julie's taste is exquisite and timeless and Clair's aesthetic is edgier and more contemporary and they blend together to create chic, modern, rich and luxurious interiors. They also source the best vintage pieces around. I literally wanted every single piece of furniture in this home. Amazing right? These two are ones to watch. 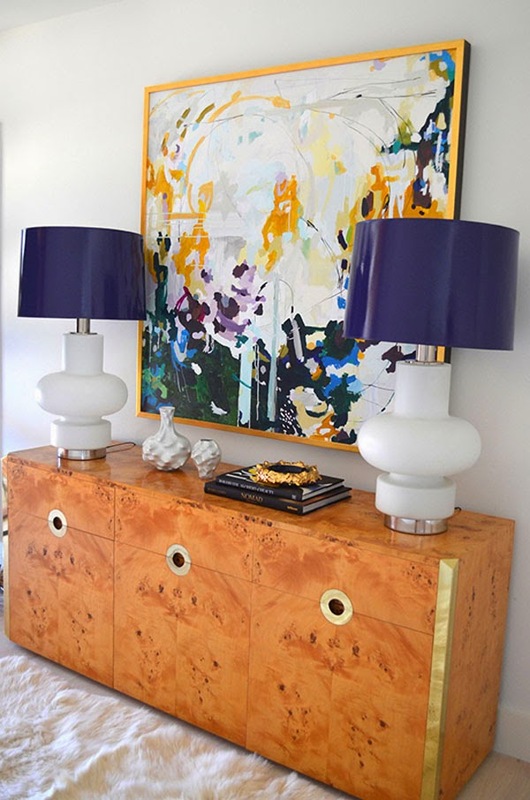 Remember their name, Tompkins Lloyd Interiors, because Dallas is abuzz already with their talent and I know it won't be too long before we see their work published everywhere. And you need to see their portfolio. It will leave you speechless. ooo I just LOVE that huge piece of abstract art over the buffet and the wallpaper in that nursery is awesome -- sophisticated, at the same time soft and updated. one word: AWESOME!!!!!!! They are so talented. 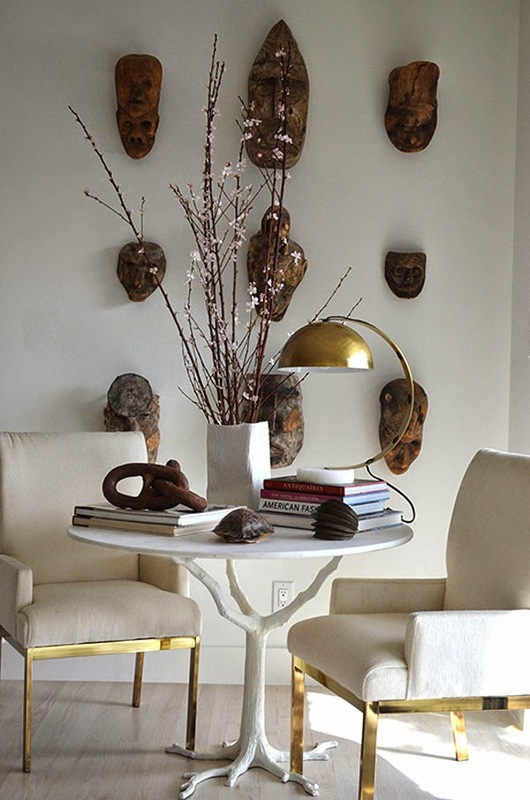 It looks like they have the same affinity for gold as me, what beautiful, beautiful spaces! Those peach and gold chairs are a dream! Now THAT'S a nursery! How cool is the wallpaper?! 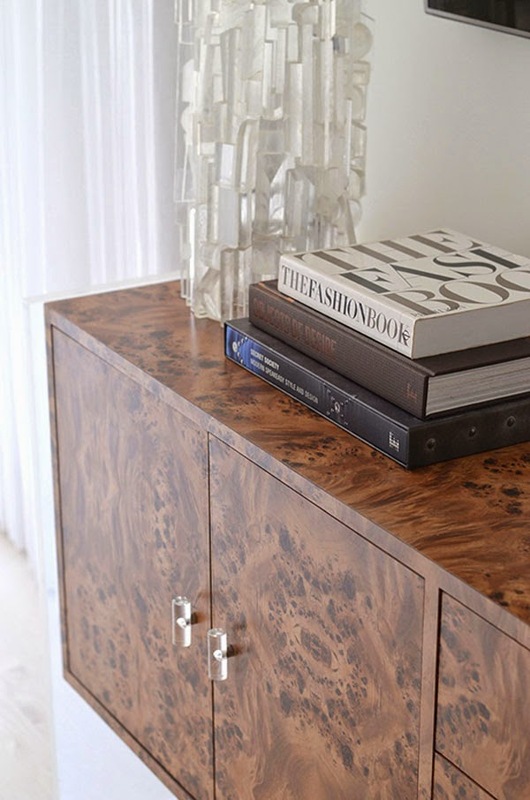 Great home and no doubt you captured some of the best details in these beautiful photos (burl wood with lucite knobs- I die!). wow, this home makes such a statement! Okay, this team is GOING PLACES. The whole home is amazing. 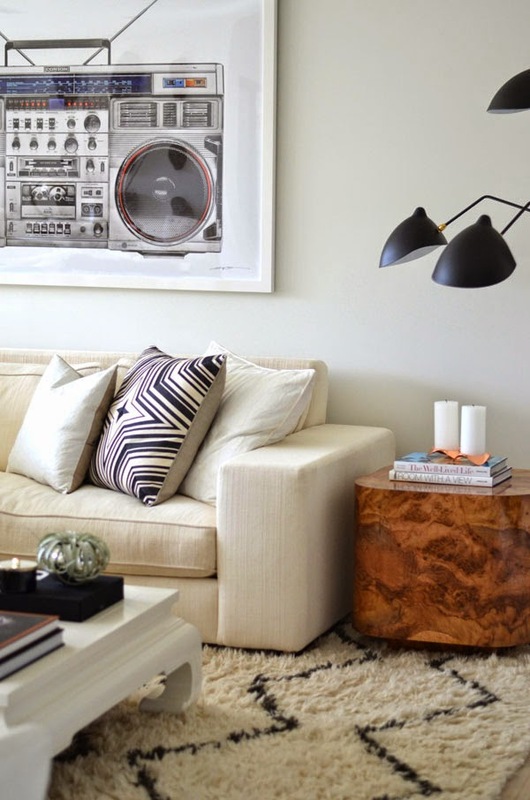 Gimme all that brass and burled wood, black and white goodness, please and thank you! HOLY BURL! I'm in love with the color palate, scale, and every single.e piece. BRAVO! And where in the world did they source the Jay-Z pillow? Amaze! like WHOAAAAAAAAAAAA. i want EVERYTHING. gorgeous. well done on them photos, girl. I have no idea what I'm doing when it comes to home decor but I'm sort of in love with this space! 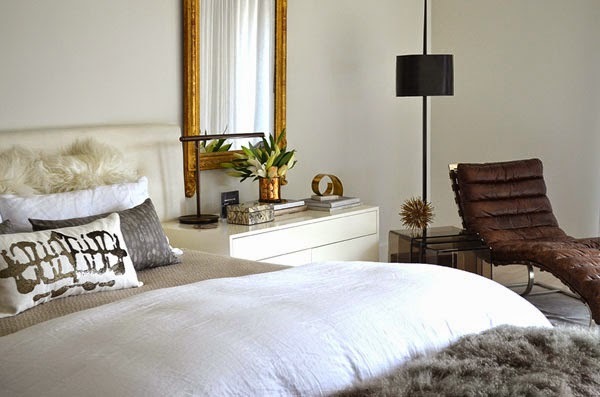 I love the mix of masculine and feminine and all the textures - just so good! Such perfect use of texture. 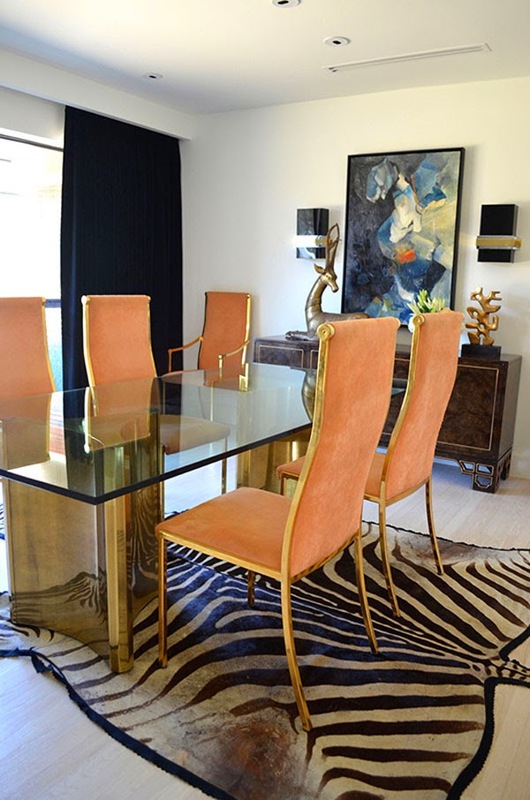 The dining chairs are my fav! 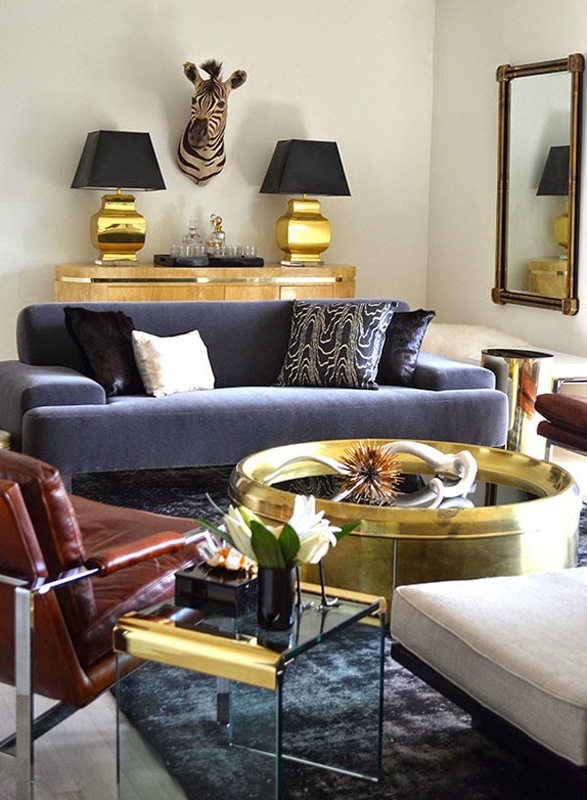 Love all these rooms with brass accent and vintage pieces! Is it weird that I was yelling "yes" out loud with each picture I scrolled through?! Well, I was anyways. My husband officially thinks I've lost it! Awesome design!!! Beautiful diggs! 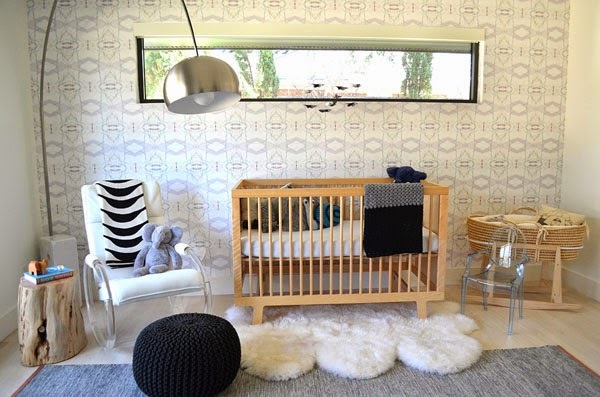 The use of wallpaper in the nursery is just brilliant with that high window. Fills the space perfectly. They are amazing! I just checked out their portfolio. So beautiful. Your photos look great as well! What a cool space. Even the nursery! 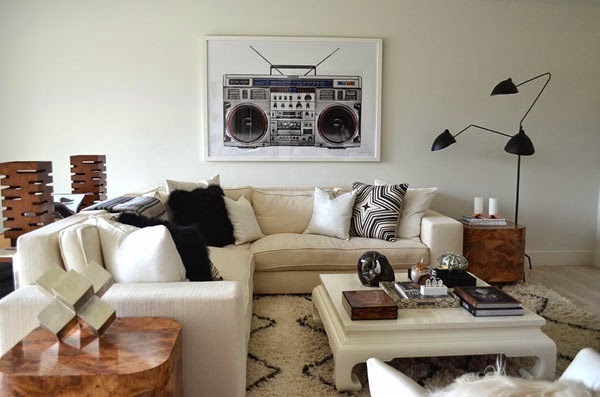 Loving the giant boom box print! Love the nursery. 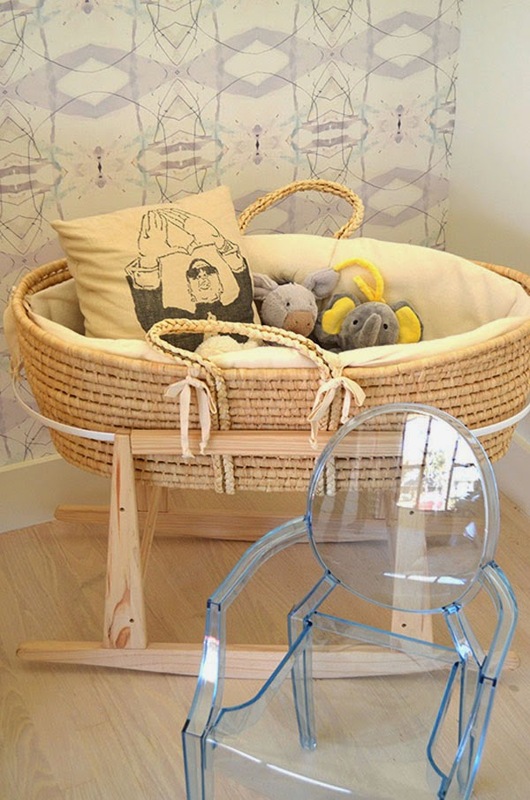 That rocking chair is incredible! Oh my goodness... Too much to love here. 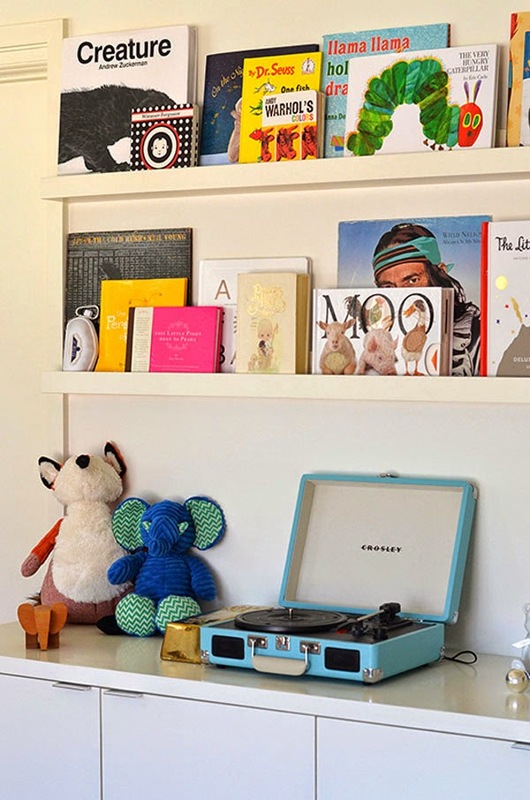 The credenza and the nursery are perfect.